Hot on the heels of the release of a new Suicide Squad trailer that set social media ablaze, director David Ayer took to Twitter to address a recent rumor surrounding the film. As you may recall, Warner Bros. penciled in some reshoots, which one report alleged was to add more humor to the mix. 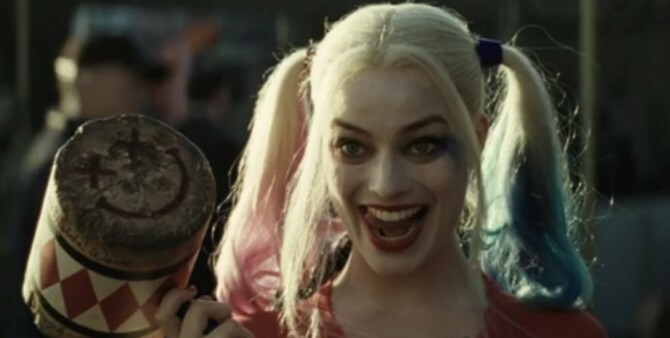 I don’t know about you, but the notion that the first theatrical trailer contained every joke in a movie that happens to feature both The Joker and Harley Quinn just did not ring true with this reporter. That sounds much more believable and backs up recent comments made by Jai Courtney, who plays Captain Boomerang. Aside from some fans’ displeasure with aesthetic changes to The Joker and Harley Quinn, all footage released to this point has been met with mostly positive feedback and apparently the folks at WB are in agreement. Reshoots are quite common in the film industry and it is not beyond the realm of possibility that the studio is willing to spend a little more money on a movie that already has sequel talk surrounding it. We’ll see if the extra efforts pay off when Suicide Squad opens in theaters on August 5. Starring Jared Leto as The Joker, Viola Davis as Amanda Waller, Will Smith as Deadshot, Joel Kinnaman as Rick Flag, Margot Robbie as Harley Quinn, Jai Courtney Captain Boomerang, Cara Delevingne as Enchantress, Karen Fukuhara as Katana, Adewale Akinnuoye-Agbaje as Killer Croc, Jay Hernandez as El Diablo, and Adam Beach as Slipknot, the next installment in the DC Extended Universe looks to contain healthy doses of action and excitement – as well as humor.